From @France24: Now reports of an explosion in another area of Paris. It's not clear if that's linked to shooting at the Paris cafe. BREAKING: 3RD SHOOT-OUT IN PARIS. 12 PEOPLE WOUNDED OR DEAD IN THE STREETS. CNN affiliate in France saying 18 killed in restaurant shooting alone. I recommend visiting live stream found here, will update quicker than me. Right now, 60 confirmed dead. The reported 100 hostages inside the Bataclan are being slaughtered one by one with a shotgun for over an hour, according to various reports. This is insane. There is so much anger in this world.. This attack is so pointless. What does it achieve? Only violence and even more hatred. That's the point. That's why they're called "terrorists." Violence for the aim. It's despicable. I'm watching the news now and I see injured people being taken into ambulances, and I wonder if these terrorists find it funny? Does this appeal to them? It's sadistic and insults the human race as a whole. Ps. Good job on this topic/thread. Actually, I was just thinking about this, and that's why I said that we need a technostist order. If we spread food and resources, rather than droppin' bombs, we'd prolly have a MUCH better world right now. It's like Michael Franti said— you can bomb to pieces, but you can't bomb it into peace. I dread to think of the sheer magnitude of Islamophobia that will erupt (yet again). There will be many Muslim victims of this attack all across the world over the next few days and weeks. I'm lucky I even have that option of "not thinking" about it; for many people, this 'exit' option (another white privilege) doesn't exist and they have no escape from the brutality coming their way very soon. May all of the victims of these Paris terrorist attacks Rest in Peace. Also, I would like to point out that ISIS is going to literally get wiped off of the map if it continues to launch such terrorist attacks in the West. Yeah, I would like to use an analogy of not painting the whole picture with one brush. For example, many around the world look to our country and say, "Why don't you kick out those right wing nutters out of power that are ruining your economy, the environment, and who are removing civil liberties?" From an outsider perspective, it would like appeasement, capitulation, or submission to those people, but the real dynamics behind the scene are more complex. For example, ISIS is not motivated by scripture, but rather by buying and selling women as sexual currency just like a televangelist is not motivated by scripture, but by his greed or Mitt Romney not by an indelible belief in free markets, but by his own ego. That was in response to joeuk, futurist was too quick to respond! Yeah, I would like to use an analogy of not painting the whole picture with one brush. For example, many around the world look to our country and say, "Why don't you kick out those right wing nutters out of power that are ruining your economy, the environment, and who are removing civil liberties?" From an outsider perspective, it would like appeasement or submission to those people, but the real dynamics behind the scene are more complex. For example, ISIS is not motivated by scripture, but rather by buying and selling women as sexual currency just like a televangelist is not motivated by scripture, but by his greed or Mitt Romney not by an indelible belief in free markets, but by his own ego. That's kind of confusing, I don't really see how it relates to my post. The same people who are southern racists in the United States would be violent extremists if they had been born in a third world country. Did you know they've threatened Russia? Yeah. Gonna see how that one goes. Yes, of course I know this. 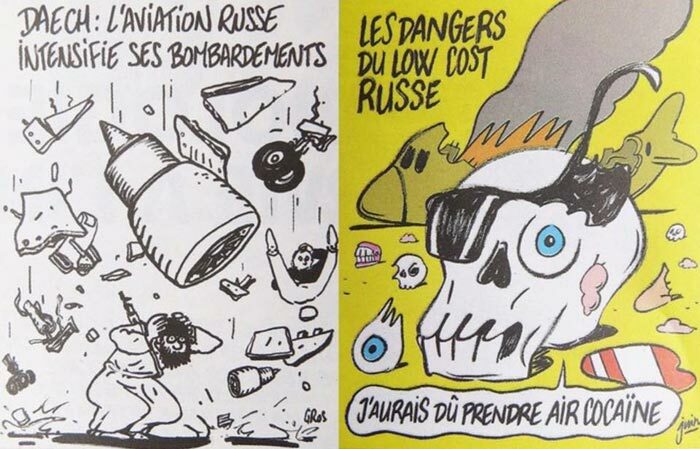 After all, ISIS is the one who blew up that Russian plane, correct? Also, though, I am unsure that Russia actually has the nerve for a large-scale military occupation of Syria and the Sunni-majority parts of Iraq. I dread to think of the sheer magnitude of Islamophobia that will erupt (yet again). There will be many Muslim victims of this attack all across the world over the next few days and weeks. that was the entire point. This isn't just for the shits and giggles. People like this do things like this because it's the fastest and most brutal way possible to draw a line and force people to pick a side. Islamophobia resulting from this will make victimisers and victims of people who yesterday had no quarrel with each other. Then you will have the protective arms of your fellows to go to, after which it's a world with no moderates. Simple teams, pick one and fight those that do not support your team. Broad brushes are taken out to paint the us and them naratives. Make no mistake these things are the result of people who believe that it is their sacred duty to usher in a new war/crusade to bring about the dominance of their own ideology. Humans sure as hell don't know what is best for themselves. They give in to the temptations of strong feelings too easily. "Yes, a Jedi's strength flows from the Force. But beware of the dark side. Anger, fear, aggression; the dark side of the Force are they. Easily they flow, quick to join you in a fight. If once you start down the dark path, forever will it dominate your destiny, consume you as it did Obi-Wan's apprentice." And, let me guess, this is not the end. Given the current cource of events, these attacks will soon become routine (few times per year or more).